This Saturday, June 11th will kick off the 11th Ordal Peach Market in Sant Pau d’Ordal, where peaches take on a starring role, when the town welcomes a multitude of visitors from all over Catalonia every weekend during June, July, and August. The market is open in the morning from 9 a.m. to 2 p.m., and besides buying peaches from local producers, visitors can also participate in activities, workshops, pairings... all linked to this product and region. In this context, this year at the vineyard, we are offering the 4th Ordal Peach Market Route. 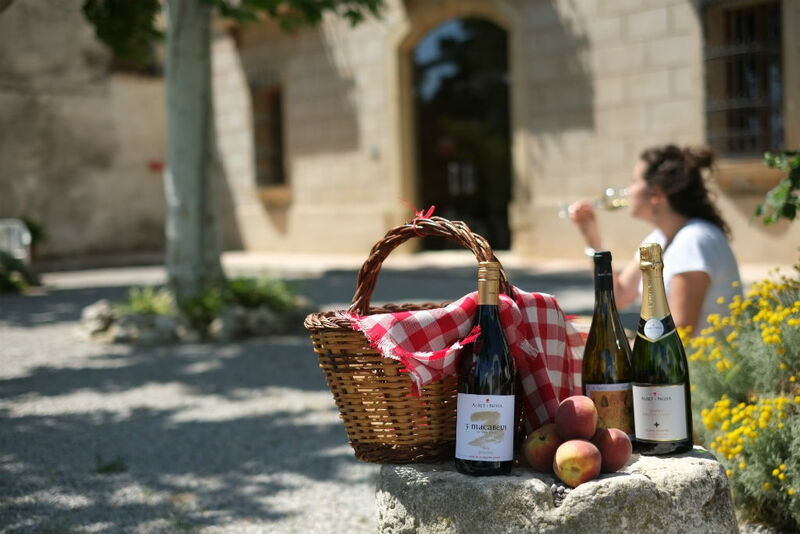 It’s an activity that brings together local cuisine, peaches, and our wines, in order to offer the opportunity to enjoy the best of the region through all of your senses. The experience starts at the vineyard itself, at the Can Vendrell de la Codina estate, where you will find out about our philosophy and history, as well as our wines, and you will take a guided tour through our facilities. Then the activity moves on to Sant Pau d’Ordal in order to set off on a gastronomic itinerary that will take us to three of the village’s restaurants (Cal Pere del Maset, Cal Saldoni and Cal Xim) to enjoy a novel tapa made by each of the restaurant chefs, where peaches will play a starring role, accompanied by our wines. Information and reservations: visita@albetinoya.cat / tel. 93 899 48 12. Advance reservations necessary.